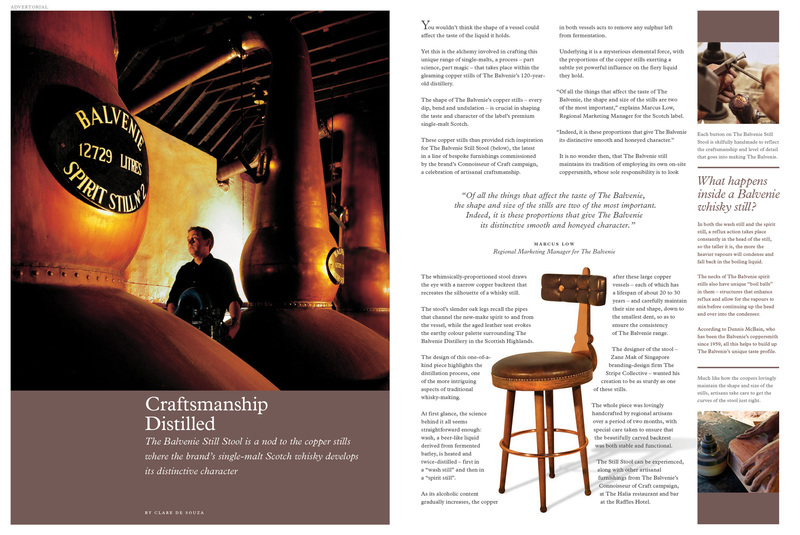 William Grant & Sons asked The Stripe Collective if there was a way to create a branded environment inside a bar to bring their campaign “Connoisseur of Craft” to life. 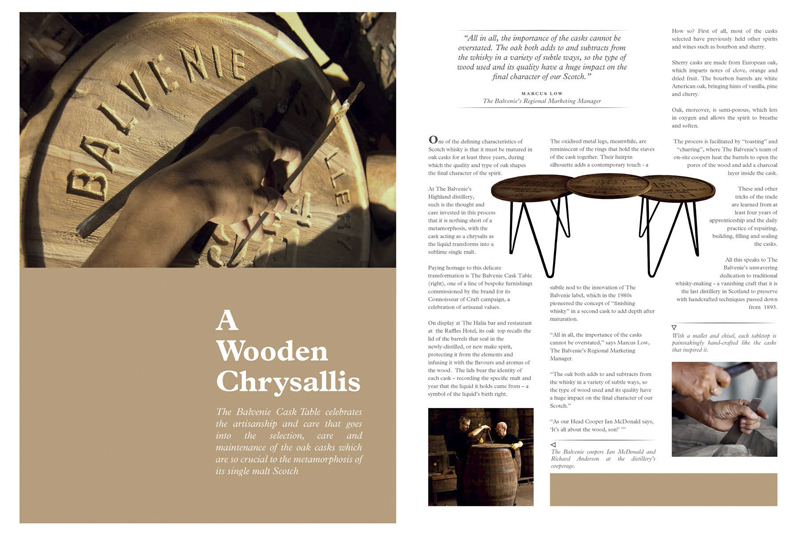 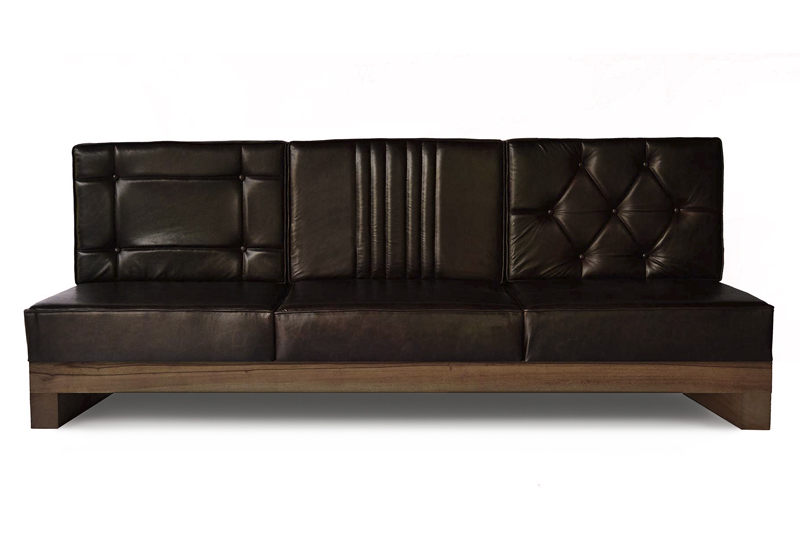 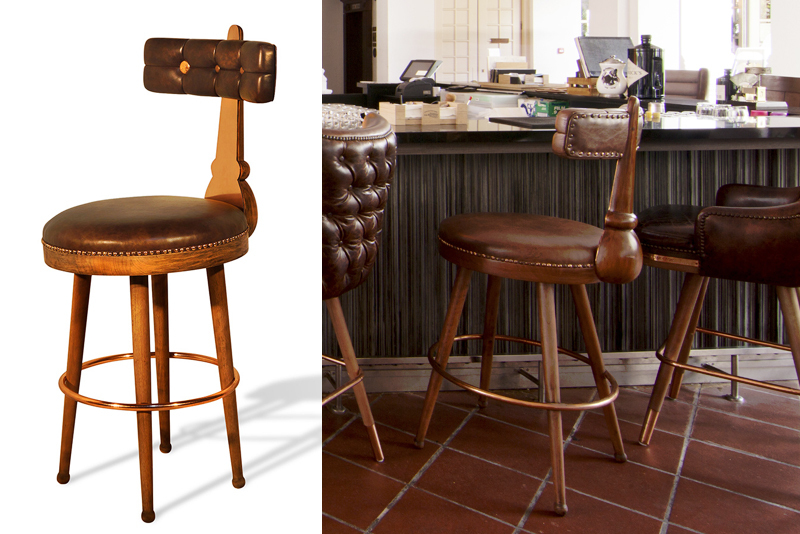 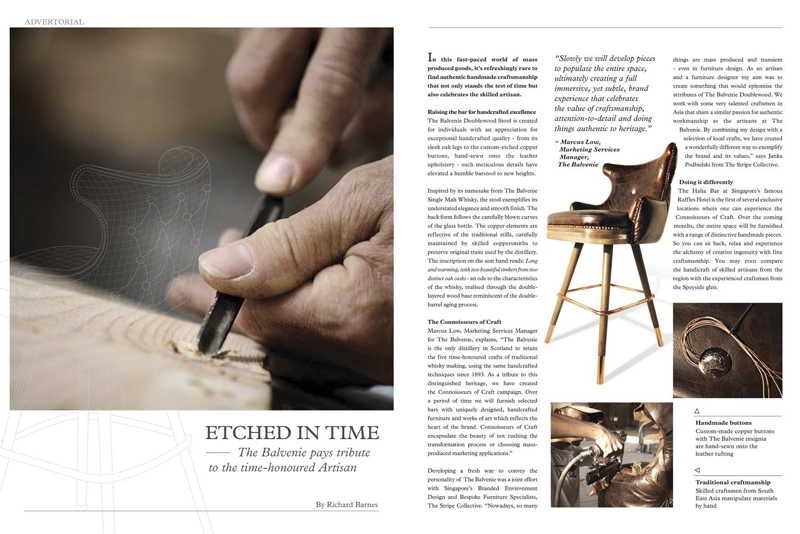 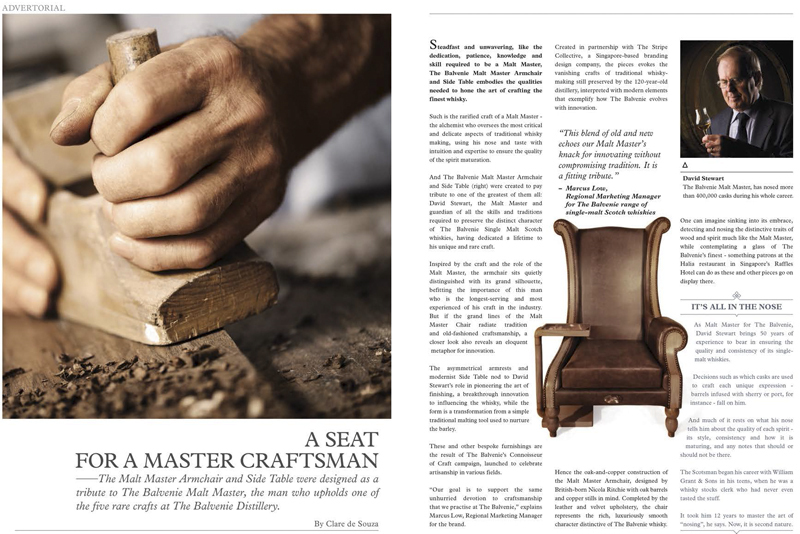 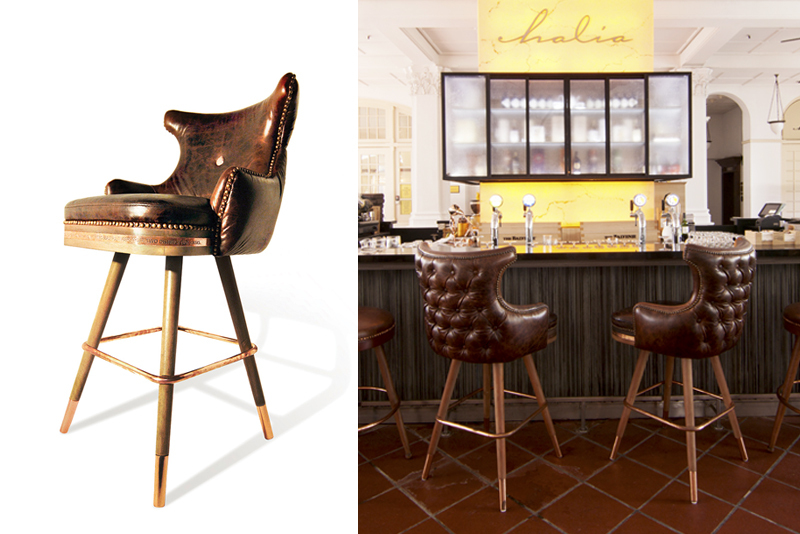 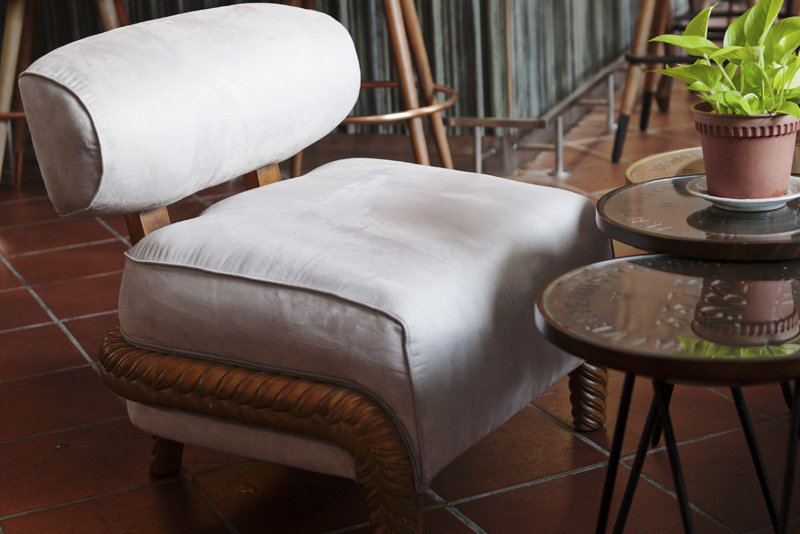 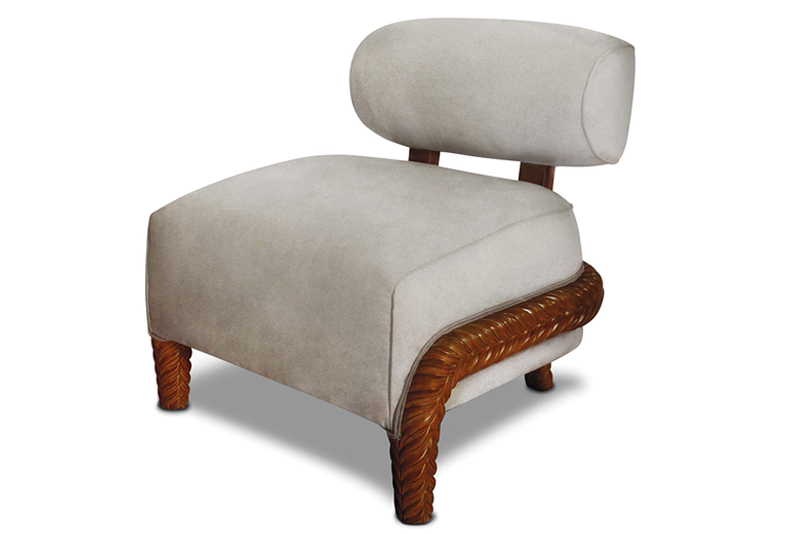 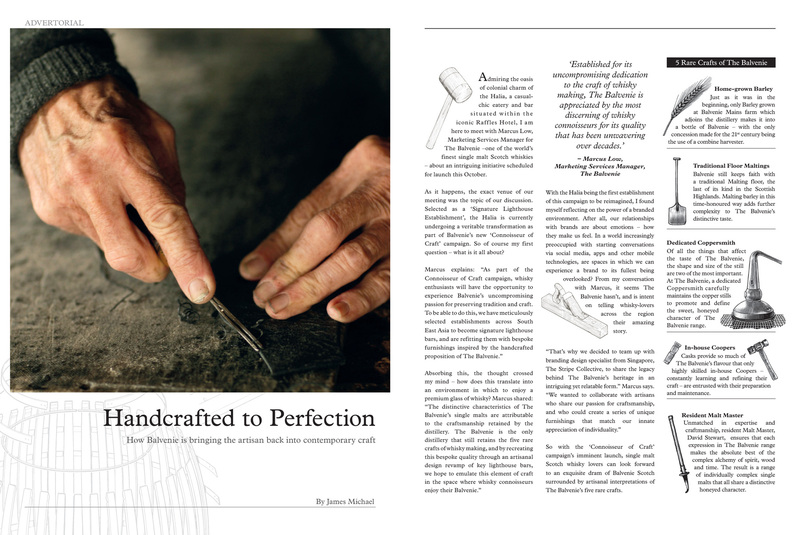 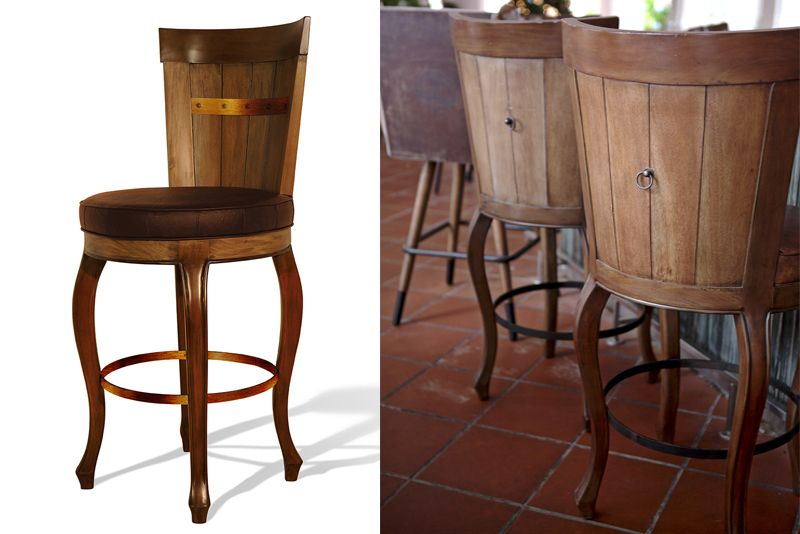 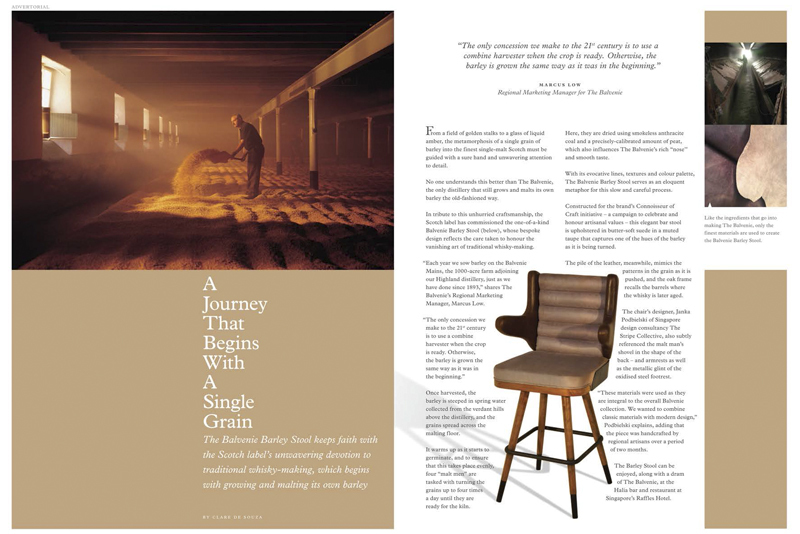 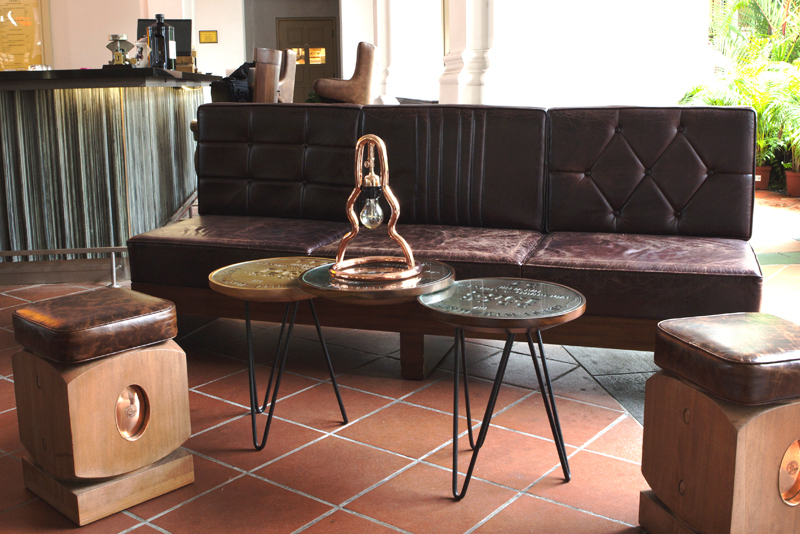 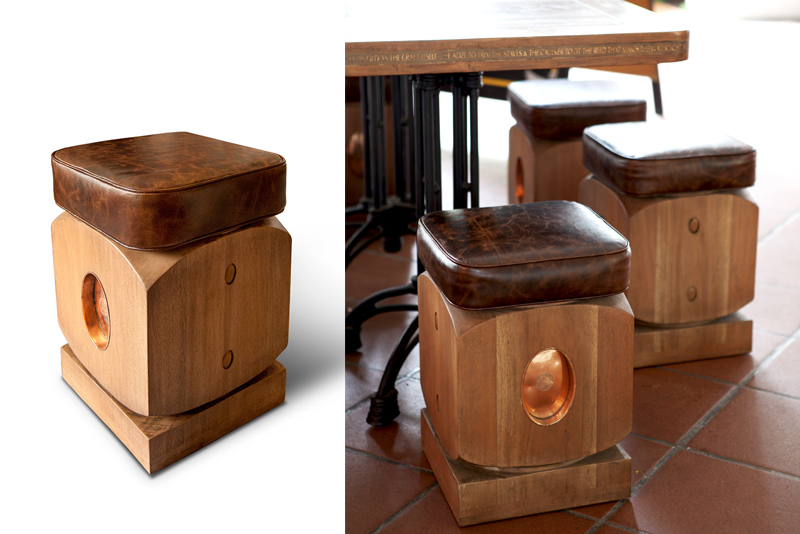 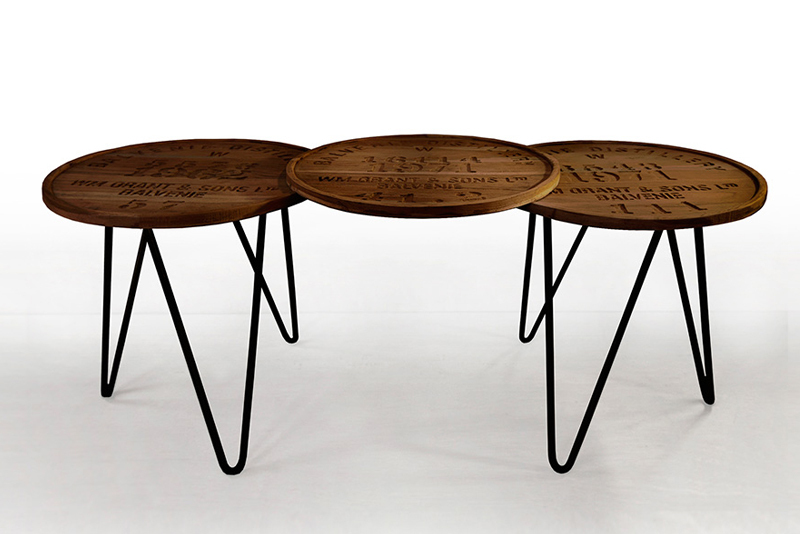 At Halia, Raffles Hotel, our uniquely designed furniture pieces not only reflect the heritage of coopersmiths, distilling, and age-old casks behind the finest Balvenie Single Malt Scotch Whisky, they also celebrate the tradition and craftsmanship of our trusted artisans throughout the region. 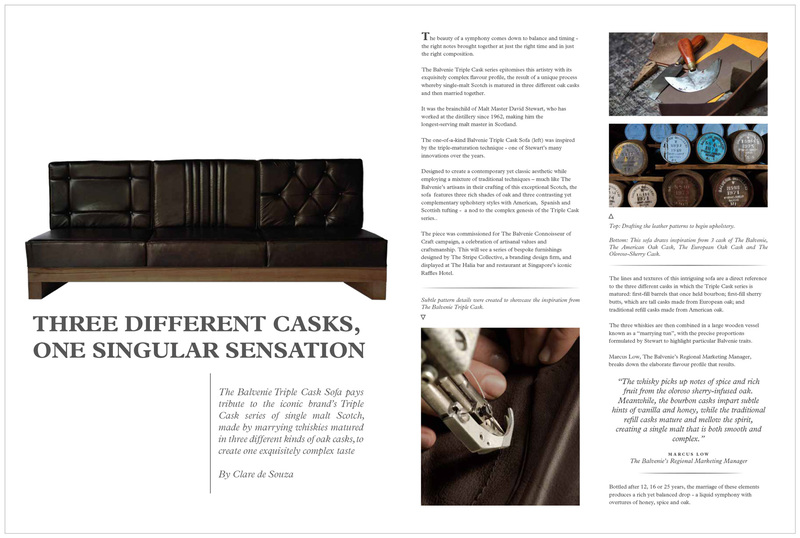 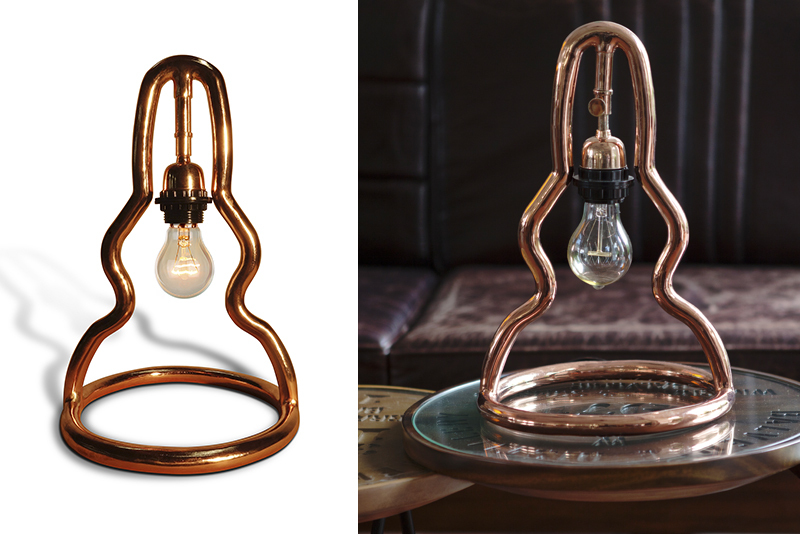 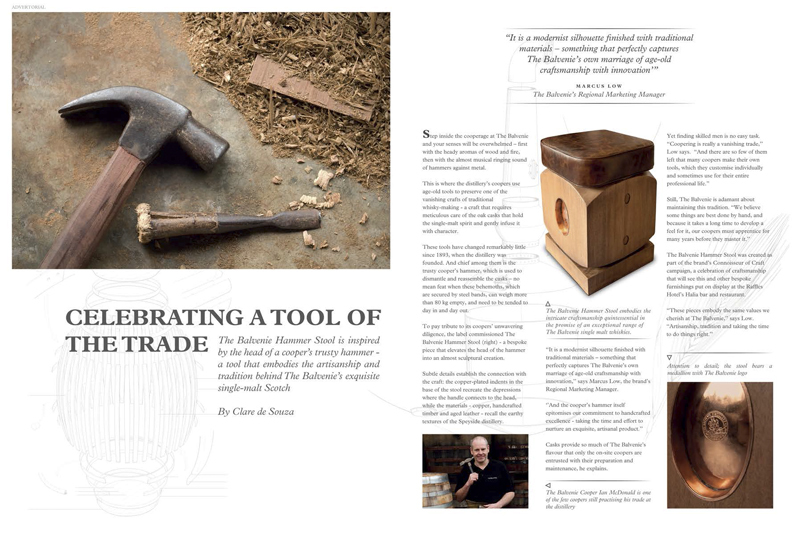 Timber, oxidised steel, aged leather and copper are reflective of the warmth and colours of barrels, apparatus and tools used in the creation of the amber spirit. 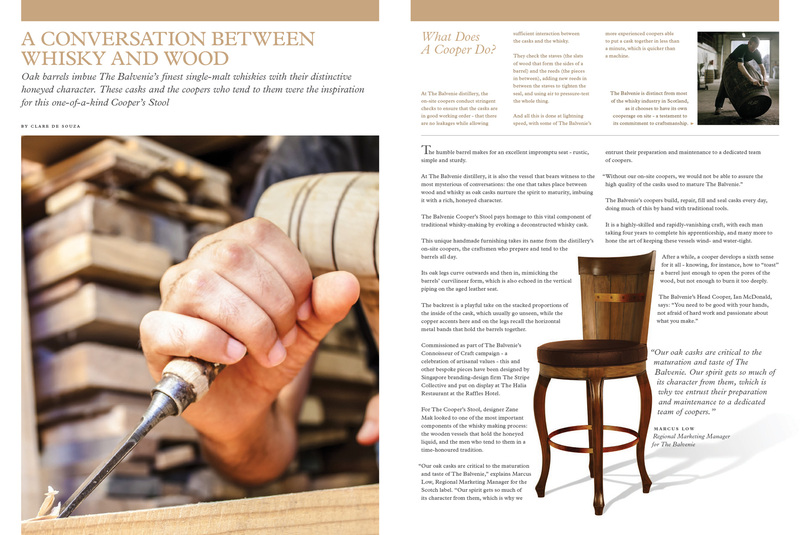 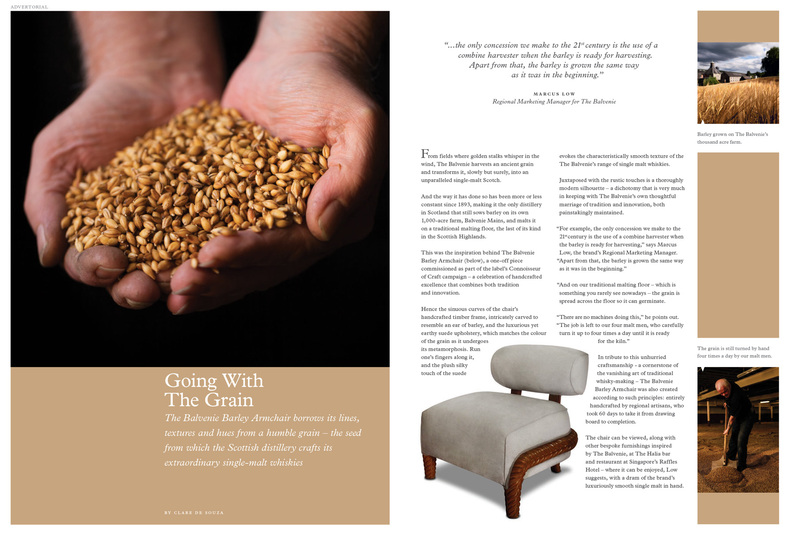 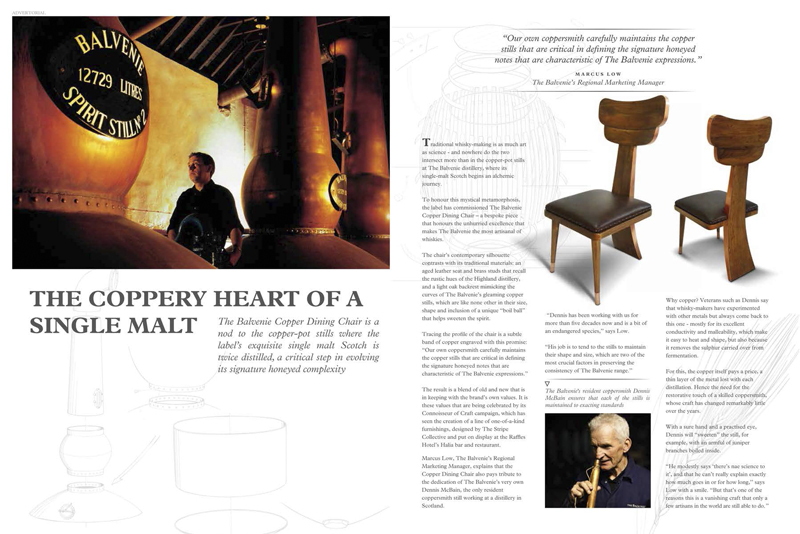 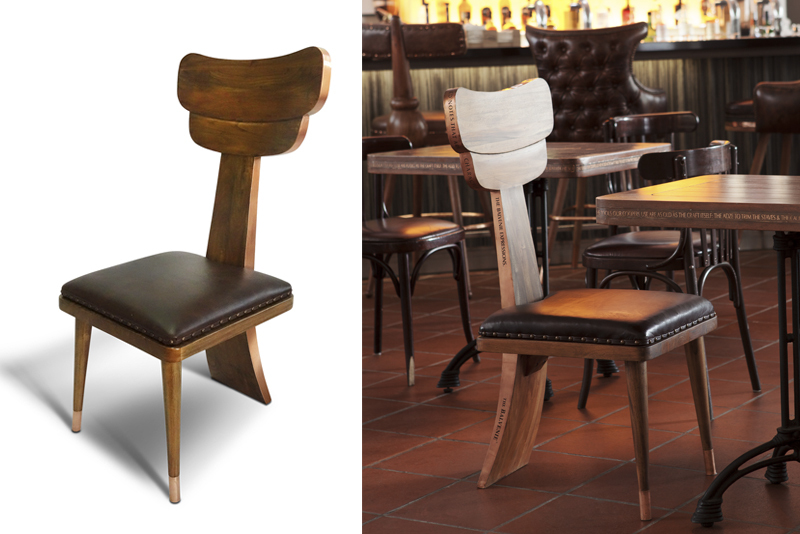 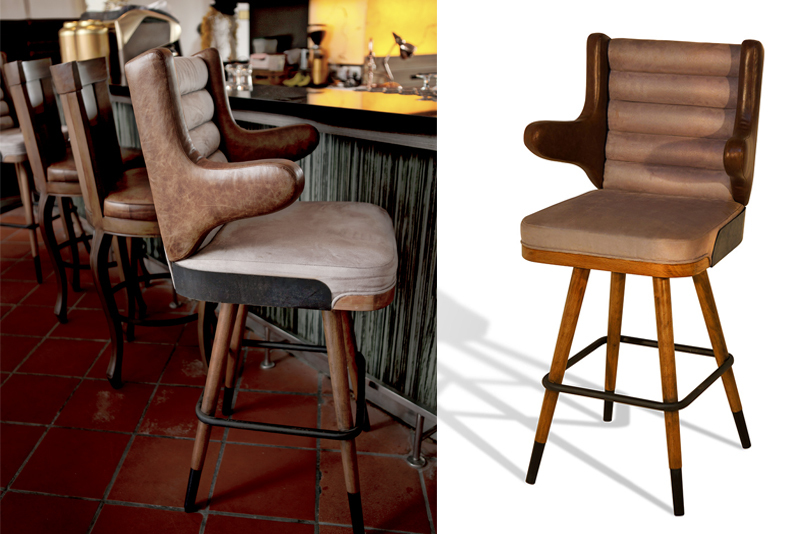 Malt Master Chair, Cooper High Stool, Still Lamp, Triple Ring Pendant, Barley Armchair, Hammer Stool, Triple Cask Sofa and Table; each bespoke piece is lovingly crafted and beautifully finished to create a cosy and comfortable bar-setting, immersing the customer in the brand even before he is served with his drink.